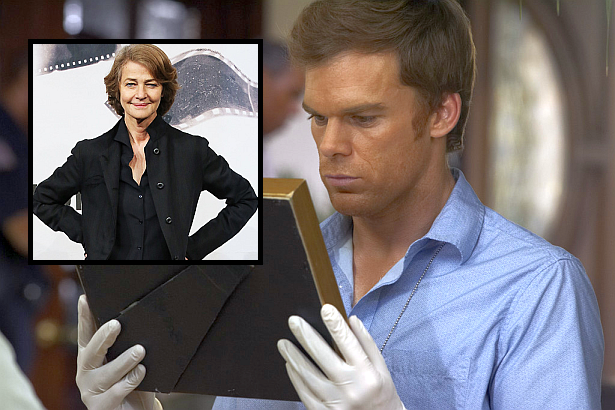 On an audio interview of Awards Circuit, Michael C. Hall sheds some light about Charlotte Rampling's character who will play the role of Dr. Evelyn Vogel. Skip the jump to read what he said about her, and the upcoming 8th season. (Spoilers). Michael C. Hall: "A new character will help Dexter experience a dynamic that he hasn't up to this point. An older female. This never really been a real time exploration for Dexter. We found out about how his birth mother was killed in front of him, but he never had a real time flash-in-blood, somewhat maternal figure with whom to interact." Click here to hear the audio interview! Thanks to @Cosmiccca for the heads up!